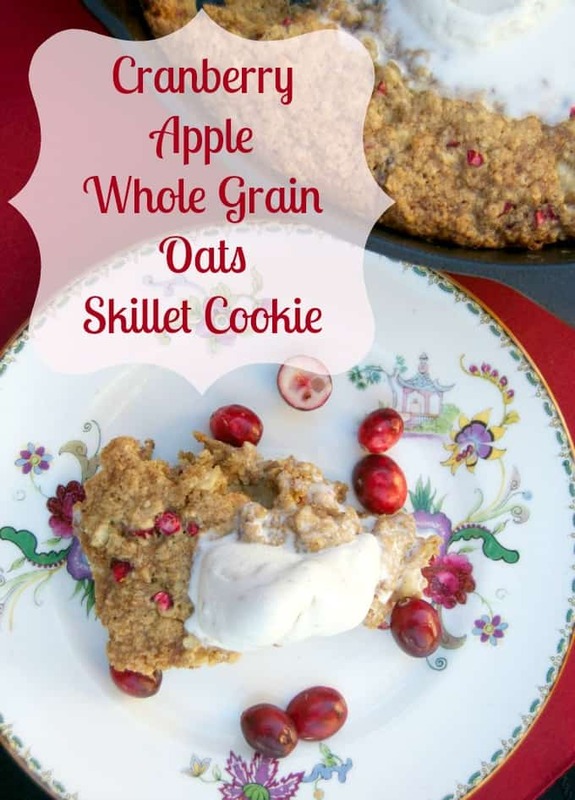 Cranberry Apple Oatmeal Skillet Cookie – two flavors of the holidays combined with Quaker whole grain oats, cinnamon, nutmeg and other delicious ingredients baked in a skillet. It’s a great new twist on the classic oatmeal cookie and a treat that’s perfect to serve on your holiday dessert table. Oh, MAN, I love the holidays!!! It’s family time spent together, sharing, laughing, giving, receiving and of course, eating!! The eating part is awesome, but of course, so is everything else. It’s just that over this month and a half, so much delicious food is made with flavors that really shout holidays. 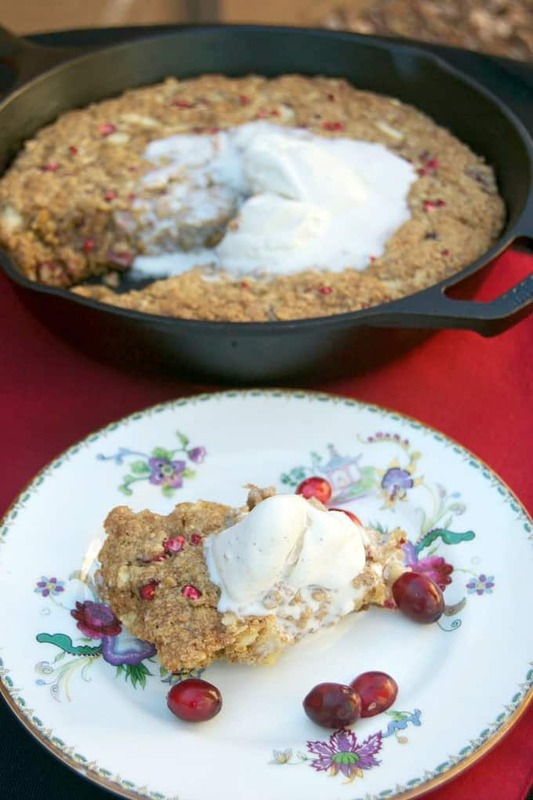 There’s vanilla, cinnamon, cranberries, egg nog, apples – it’s just all so very delicious! Our oldest daughter drove down to visit us for a few days and she and I decided to visit one of our most favorite stores to check out Christmas decorations and purchase some groceries so that we could start our holiday baking. 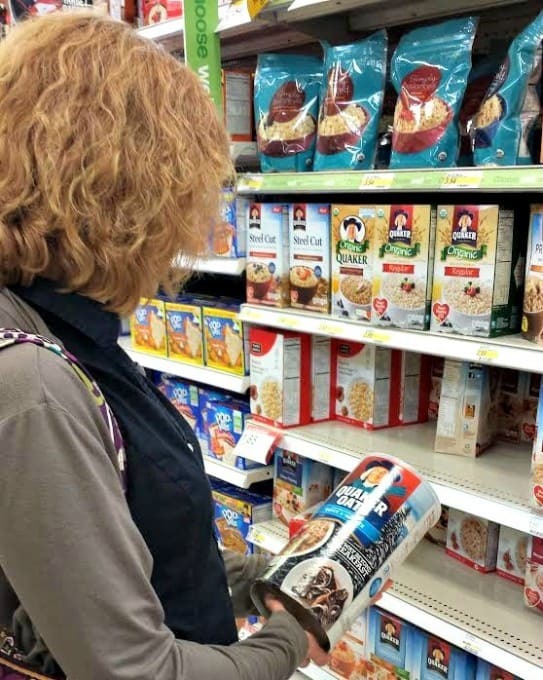 While we were there I spotted this limited edition Quaker Oats Quick Oats 42oz winter canister which is exclusively at Target. It’s so pretty with the winter scene and kind of does make me miss the snow now that we’re living in Phoenix. But seeing the snow covered pine trees on the canister did make me all warm and fuzzy inside for the holidays! 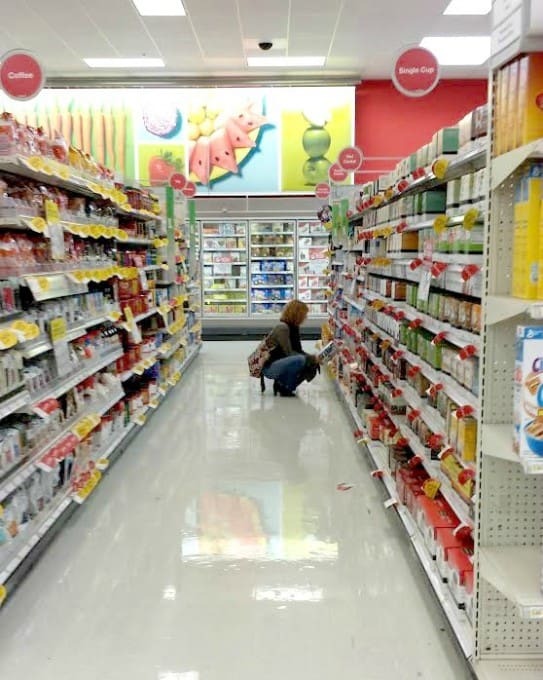 For a limited time, you can even get a coupon here for the Quaker Oats special winter packaging available at Target. Two flavors of the holidays combined with Quaker whole grain oats, cinnamon, nutmeg and other delicious ingredients baked in a skillet. 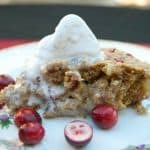 It’s a great new twist on the classic oatmeal cookie and a treat that’s perfect to serve on your holiday dessert table. In a mixing bowl, cream together the butter and sugars. Scrape down the sides of the bowl and mix in the egg and vanilla. 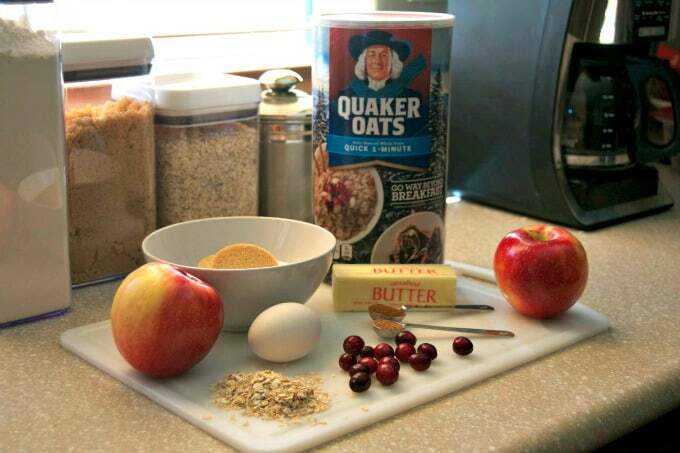 In a large bowl, whisk together the Quaker Quick 1-Minute Oats, flour, baking soda, cinnamon, nutmeg and salt. 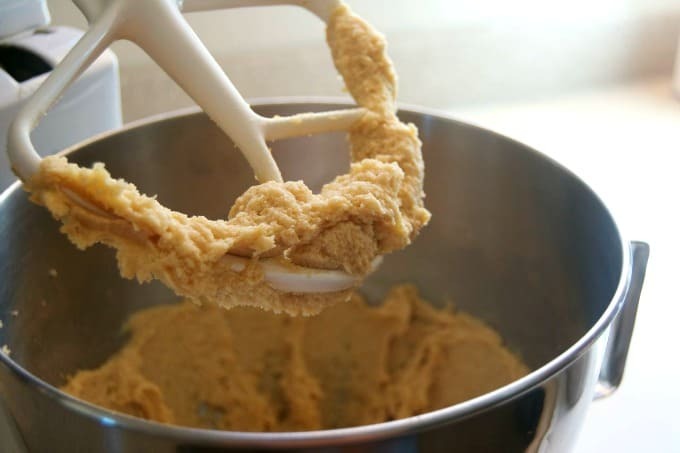 Add dry ingredients to the butter mixture and incorporate fully. Mix in the diced apple and chopped cranberries. Place batter into a 10-inch cast iron skillet. Sprinkle with additional chopped cranberries. 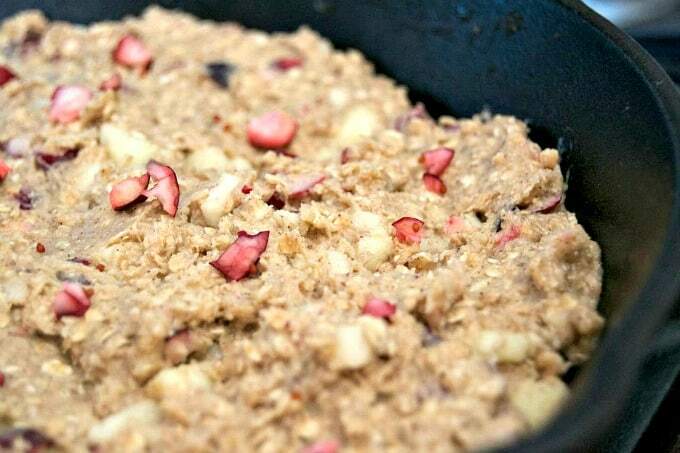 I rate everything I make on a scale of 1 – 4 with a 4 being the best and this Cranberry Apple Whole Grain Oats Skillet Cookie earned 4 rolling pins. It really was OMG delicious!! This is going to be at the top of my oatmeal recipes. Mr. 365 was surprised at how amazingly good it was, too. 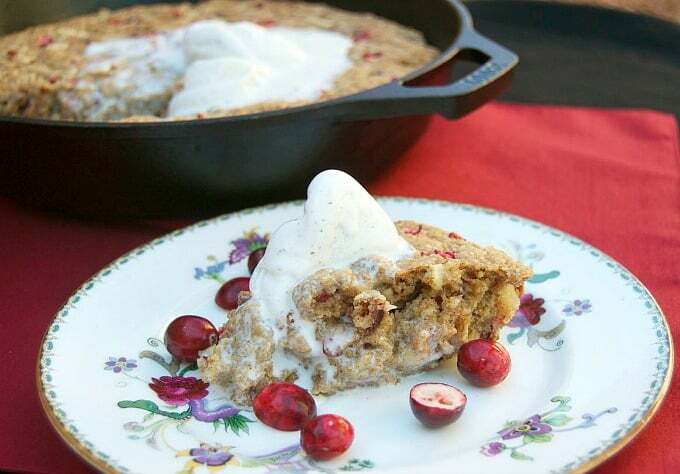 There’s just nothing like the comfort of an oatmeal cookie with great flavors baked in a cast iron skillet. Thanks so much, David! It was quite delicious and something I know I’ll be making again and again!